What do you mean by "authentication"? Authentication, in this context, means the act of proving who you say you are. The way of doing this for most computer systems is to log in using the username and password that you have been allocated by the people who manage the computer you are using. Since the username/password combination uniquely identifies you, it is essential you keep your password secure and confidential to you. If you suspect that someone has found out your password, you should change your password as soon as possible. Please note: that both using another user's username and password and giving your own username and password to someone else are against the University's Regulations for the use of computer facilities. What is the MVSU domain? When you log on in an open access computer room, your password is checked against the MVSU domain (as indicated in the picture below). A Windows domain is a way of organizing computers and users; a user has a domain password which is used for all accesses to files and computers in that domain. The MVSU domain is a University-wide domain, in which all members of the University are registered at the same time as they register for a MVSU email address. The MVSU domain is the primary means of controlling computing access within the University. Why has authentication been introduced? There have been a number of occasions when people who are not members of the University have been found using our facilities. This is unfair to members of the University, given the pressure on these resources. Requiring users to identify themselves when using these computers will prevent much of this abuse. Occasionally members of the University are found to be misusing our computers and network. Requiring users to authenticate using a username and password will allow us to identify and take action against this type of anti-social behavior. It is important, therefore, to log off when you have finished using the system, otherwise you may find that you are held responsible for someone else's misuse. There are several network services that we cannot provide without authentication, such as central file store and central printing. This service allows us to provide additional functionality for users of authenticating PCs. Which rooms use the MVSU domain password system? Most computing areas within the University now use MVSU domain authentication. However, in some areas the departmental policy is that access to computers is restricted to members of certain departments only. In this case, you will see the somewhat obscure message "The local policy of this computer does not allow you to log on interactively." If you feel that this is in error, you should contact the department/ faculty who manage the computers concerned, who will be able to deal with the query. How do I get a MVSU domain password? 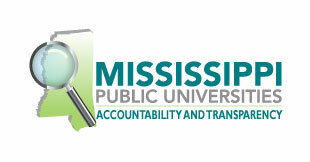 A user's MVSU domain account is created at the same time as their @MVSU email address. Undergraduates are automatically registered for email and the MVSU domain, and their details are issued to them at registration. If you have forgotten your password, you will need to visit the IT help desk with your University identity card, and ask the staff there to issue a new one. We regret that for security reasons we cannot issue passwords over the phone. We have a document available which explains how to change your password. I changed my password and now I can't log on, what's happened? Note that it takes up to five minutes for password changed to prorogate to all our authentication servers (we use multiple geographically-distributed servers for authentication). My MVSU domain password doesn't work, why not? ♦ your account has been locked out due to trying to log on with the wrong username and password too many times. Your account will be automatically unlocked after 1 hour; the Help Desk will be able to unlock it immediately. ♦ your account has been locked as we believe you are no longer a member of the University. We would have notified you before this happened. If you believe this is incorrect, you should contact the Help Desk as a matter of urgency. ♦ your account is not permitted to logon to this computer. This setting is commonly used in departments to restrict access to only members of their department, or other permitted users. If you think this is being applied to you incorrectly, you should contact the staff responsible for the computer in question. The Computer Centre help desk may be able to identify who can help with the problem, but cannot override the configuration. ♦ your account has been disabled. If you get this message, please contact the Computer Centre help desk for advice at the earliest opportunity. ♦ your account has been configured to restrict the times during which you may log on. This is a rather unusual restriction. If you get this message and are not sure of the permitted hours of use, please contact the Computer Centre help desk for advice. ♦ your account is configured with a restricted list of computers which you may use. If you get this message and are not sure which computers you are permitted to use, please contact the Computer Centre help desk for advice.